How’s it going Beauties? Happy new years by the way! Since my last post was in December. I had a lot to take care of and I was (still am) going through some changes in my skin. This is actually what my blog post is about today, And I’m super excited to share it with you guys as always! I have been having such troubles with my skin and its been driving me crazy. I absolutely can’t take not having clear skin. I figured this month I was going to take the time and chill out with wearing makeup almost every other day, I want my skin to have the time to breath and that’s what I was lacking. If I saw a pimple on my face I would wear makeup just to cover it up, but that’s a definite “No no” I was actually hurting my skin more then I knew. I also have really bad acne scars from picking at my pimples in the past. So for whoever is having skincare issues I’m gonna show you’all what exactly I use and how I take care of my face. This is African Black Soap, an ALL NATURAL face and body cleanser. I purchased this from one of my local stores that carry a lot of natural products. This soap so far is definitely clearing up my skin. It’s doing it slowly but surely. As for the body, I only use it on my chest because I can tend to break out there sometimes. 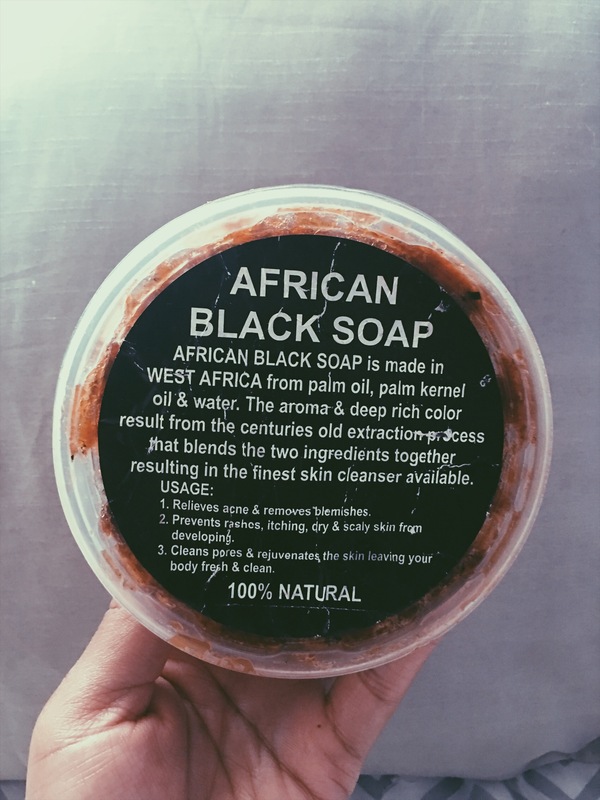 Now with using African Black Soap, you NEED a moisturizer because it can leave you a little dry in the face and also if you use it on your body. I am such a junky when it comes to moisturizers because I hate feeling dry, I can’t stand it. 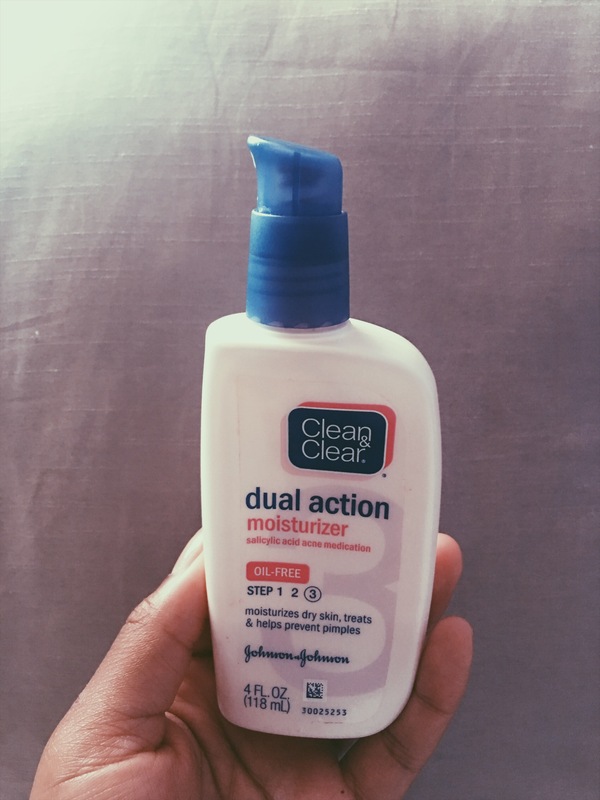 I’ve been using this Clean & Clear moisturizer for awhile now and it’s pretty good for now. I want to maybe try to find a different one with a little sun protection. I do use oil-free because I have a lot of natural oils in my skin so my face is never really super dry. Okay now, this is super important!! You need water in your body! Not only is it good for your skin but its good everything else! “A bottle of water a day keeps the F boys away!” No, but seriously its great for you. Not everyone is a fan of tea but I can drink tea all day long! I love tea. 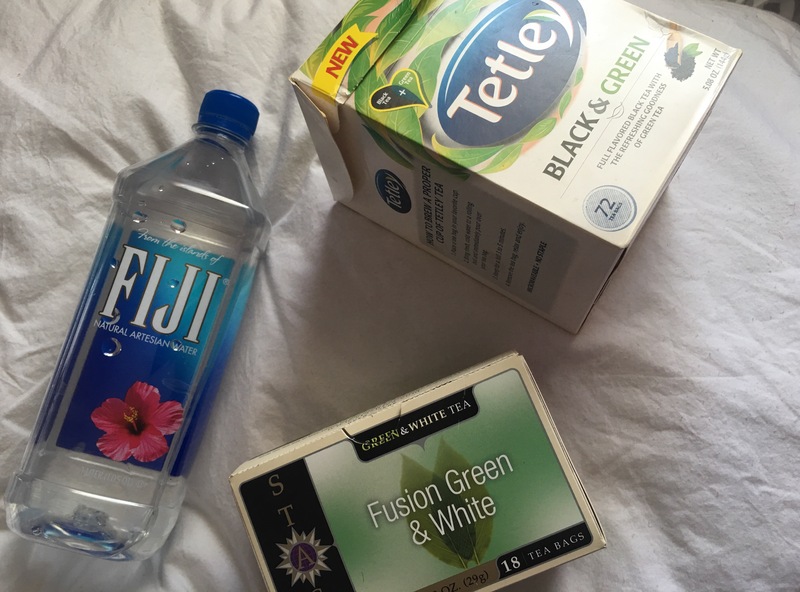 I like a lot of natural teas with no sugar, sometimes I’ll put a little bit of honey but not too much! but this can also provide healthy skin as well. 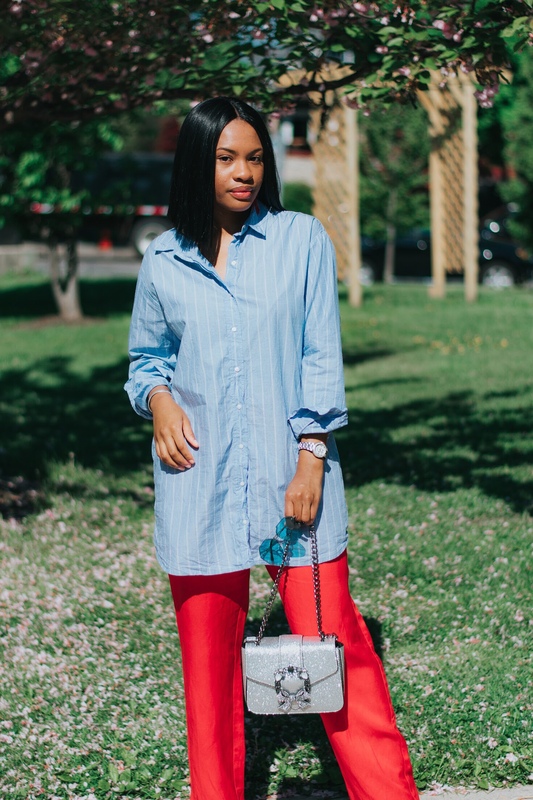 I Hope you guys took note from today’s post! Even if you are currently doing this already, don’t stop! Your skin takes the time to clear up, and it won’t happen overnight. So keep drinking your fluids, cleanse Day&Night and eat as healthy as possible! also exercising is such a plus! I also will be posting again next Saturday and I will show you guys how far my skin got with using my African soap and Clean & Clear moisturizer, also giving you before and after pictures so that you will see the results!